Make a shopping list: What will your child need? Clothing & shoes (current size & one size up), books, toys, birthday gifts, and more. We are located on the backside of the Mall Between the Old Sears and Kohl. Enter through the upper level Mall Entrance. Check-out is Easy! We accept Cash, Visa, MasterCard and Discover and will provide you with a detailed receipt! Buying a Big Item? We have pick available! Tell your Friends and plan a 2nd trip! We accept new items daily from out consignors so you never know what you could find. Team Shops First- Sign-up to help! This is always a great sale! I enjoy the kids sales a lot great way to purge kids items without having to run a garage sale. The sales are run very well and organized. Have a lot of fun working the floor and keeping things tidy so that the items get sold. The time flies when volunteering. "The Best JBF Sale in MN! Everyone is so nice and easy going. I like both shopping and selling, it is so easy to sell the things we don't need anymore and then save on what we need. Denise is so nice and works hard to make sure the sale is a success for everyone, including those in need in our community. " 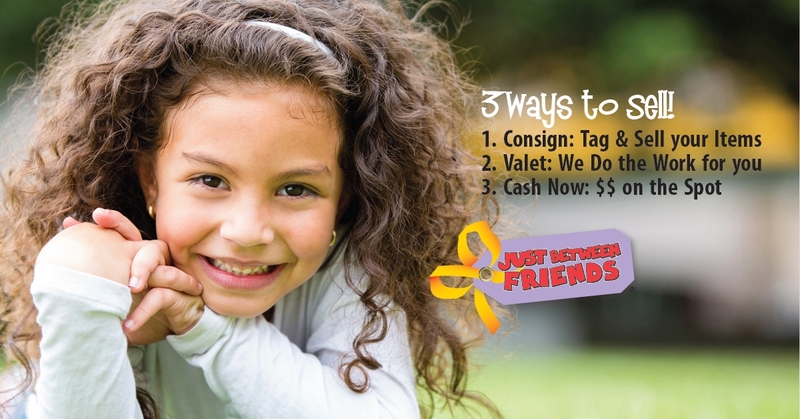 Consignment with a Cause- I believe that I am priviledged to be able to serve area families by bringing a high-quality sales event that helps them make money and save money. I also love that the sale can give back to the community. JBF understands that need is not always determined by financial status. With JBF, we can help in a lot of different ways no matter what the circumstance. I am thrilled that you are thinking about joining us for this exciting event! This is an outstanding opportunity for moms and dads like you to earn a great profit for your children's gently-used items and help the less fortunate families of the Twin Cities. Becoming part of this great event is easy. You gather your items, prepare them for the sale, and drop them off at the sale to be sold. For participating, you get to be a part of a presale that you have to see to believe! Imagine this: over 20,000+ square feet of the best in children's, teen's, and maternity merchandise that you have ever seen! We hope to see you at the next event!